When your baby was born, you likely counted all his toes and fed him shortly after birth. Breastfeeding might take a little trial and error at first, but what if your baby has trouble feeding? Children with feeding and swallowing disorders can display a wide range of symptoms. Children who cannot consume food adequately are at risk for medical complications. Swallowing disorders are called dysphagia. There are three possible phases of a swallowing disorder. If your child has trouble with the esophageal phase, this means that he has trouble getting the food through his esophagus and into his stomach. Those with problems in the pharyngeal phase have trouble with the beginning stages of a swallow. They may not be able to close the airway to prevent choking. Children with a swallowing disorder that affects the oral phase have trouble chewing or sucking. Children with a feeding disorder have difficulty picking up food. They also struggle to place food in their mouths and often cannot close their lips completely while chewing. The typical symptoms of swallowing and feeding disorders will vary from child to child. Young children may refuse food or take longer than 30 minutes to feed. They may appear lethargic or irritable while feeding. Some children stiffen their bodies or arch their backs, while others may cough or gag. Parents may also notice that the child appears congested during meals or that the quality of his voice becomes hoarse or “gurgly.” Vomiting and frequent spitting up may also occur. Infants may have excessive difficulty with breastfeeding, while older children may refuse to eat foods with a certain texture. Inadequate feeding can place the child at risk for malnutrition and dehydration. Sometimes, food can enter the airway. These children are also at risk for upper respiratory infections. Older children who are aware of the fact that they eat differently than other people may also experience embarrassment in social situations. Swallowing and feeding disorders are best treated by a team of professionals that may include a speech-language pathologist (SLP), an occupational or physical therapist, a psychologist, and a pediatrician. These professionals should work together to develop a feeding therapy treatment plan for your child’s specific needs. Your child may benefit from medication if he has trouble with reflux, or the movement of the contents of the stomach into the esophagus. If he suffers from severe nutritional deficiencies, it’s likely that a doctor will place a feeding tube. The physical therapist may work to support feeding and swallowing by improving muscle balance, spinal mobility, and respiratory issues. The SLP may work with the child to improve the strength of the muscles responsible for chewing and swallowing. 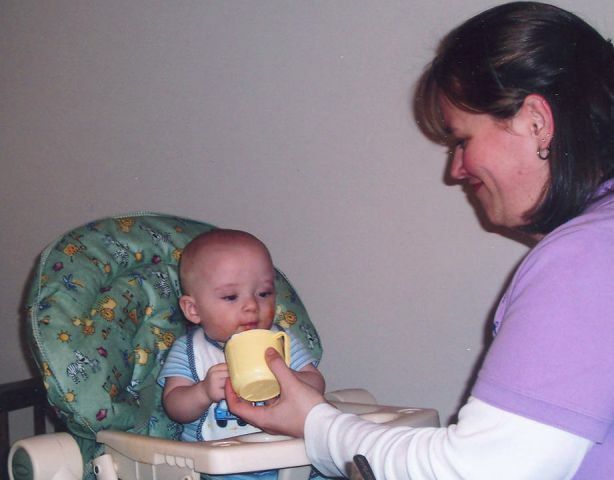 Behavioral intervention is often beneficial for children with feeding and swallowing disorders. For example, those who have trouble accepting certain textures of foods will gradually be encouraged to eat different kinds of foods. 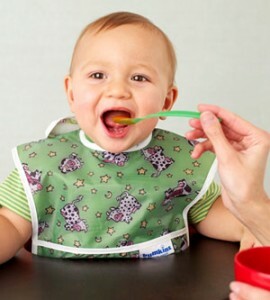 The SLP will likely instruct you to feed your child the foods that he already readily eats at mealtimes. Then, offer your child the same food that has been altered with a different taste or texture. For example, if your child readily eats applesauce, try mixing in some cinnamon. If your child only eats crunchy cereal, try softening the cereal with a little milk. Changes in food should be introduced gradually so that the child does not become overwhelmed.